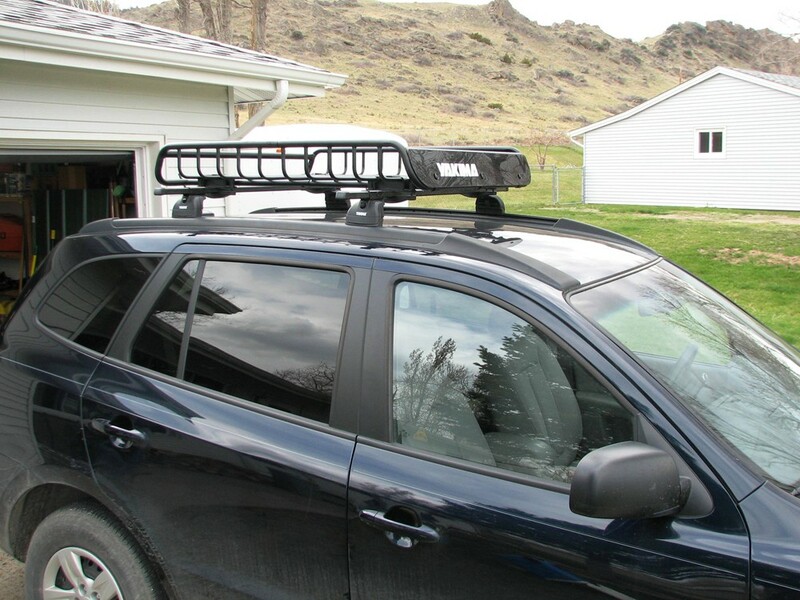 LoadWarrior allows you to carry large loads on your roof-rack crossbars. 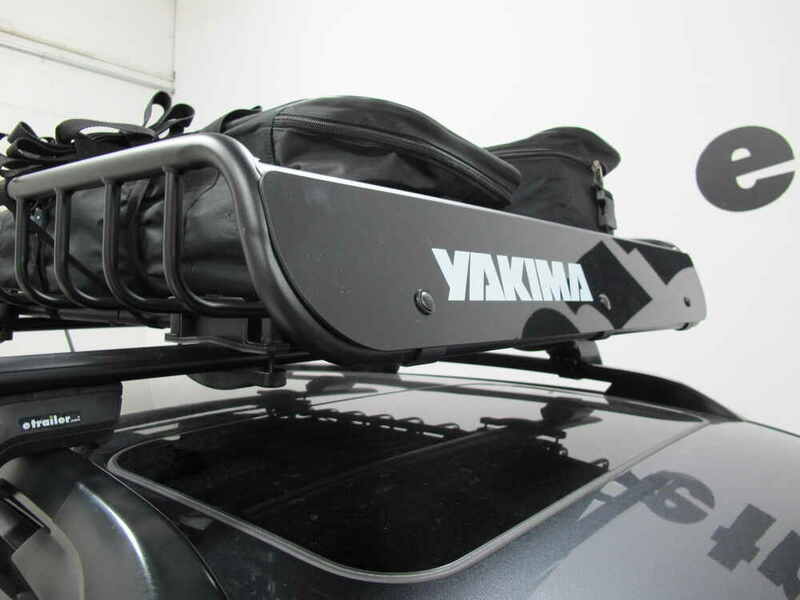 Add other Yakima bike and boat mounts to the basket crossbars to haul your gear. Basket has a custom fairing to reduce wind noise. 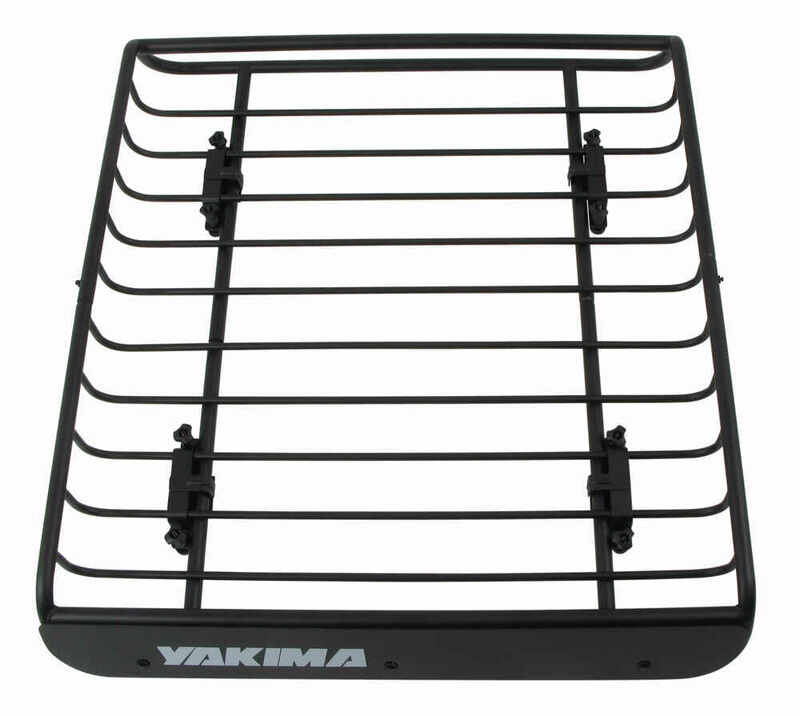 Lowest Prices for the best roof basket from Yakima. 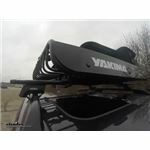 Yakima LoadWarrior Roof Rack Cargo Basket - Steel - 44" Long x 39" Wide part number Y07070 can be ordered online at etrailer.com or call 800-298-8924 for expert service. 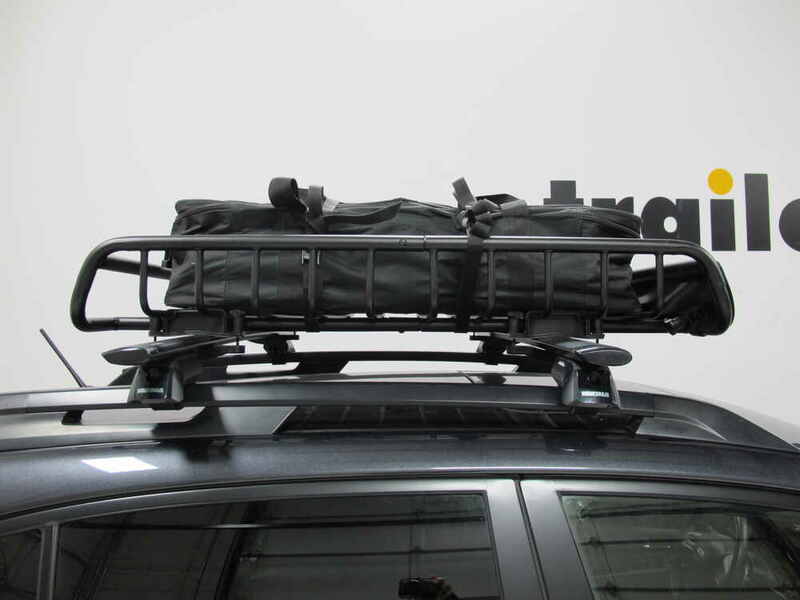 Crossbar spread: between 24" - 32"
This large, multisport cargo basket fits on the roof-rack crossbars, allowing you to carry big loads and mount Yakima accessories. 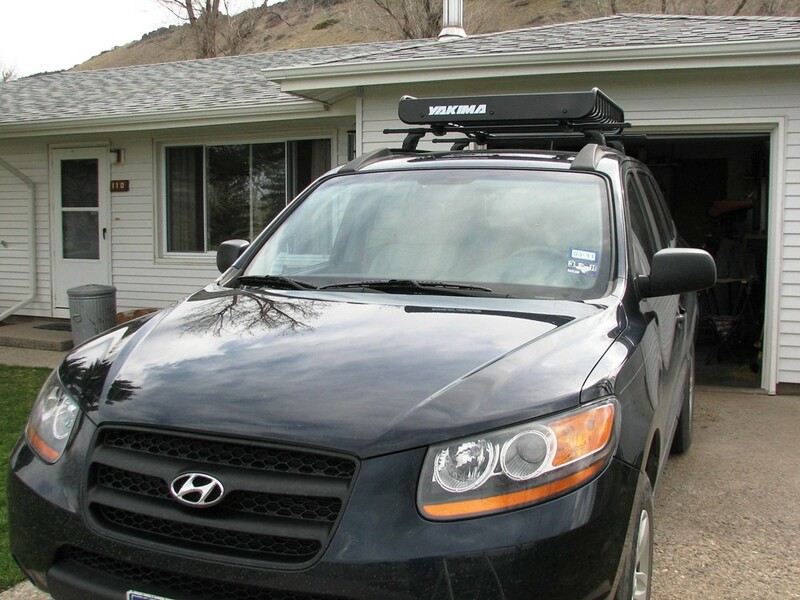 The basket front and rear crossbars serve as mounting points for Yakima bike and boat carriers. 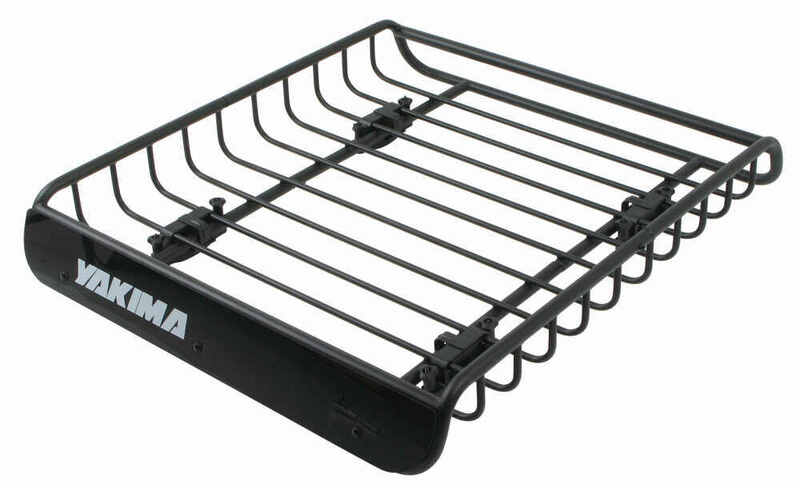 The basket accepts any Yakima mount accessory that works with a crossbar spread of 32". 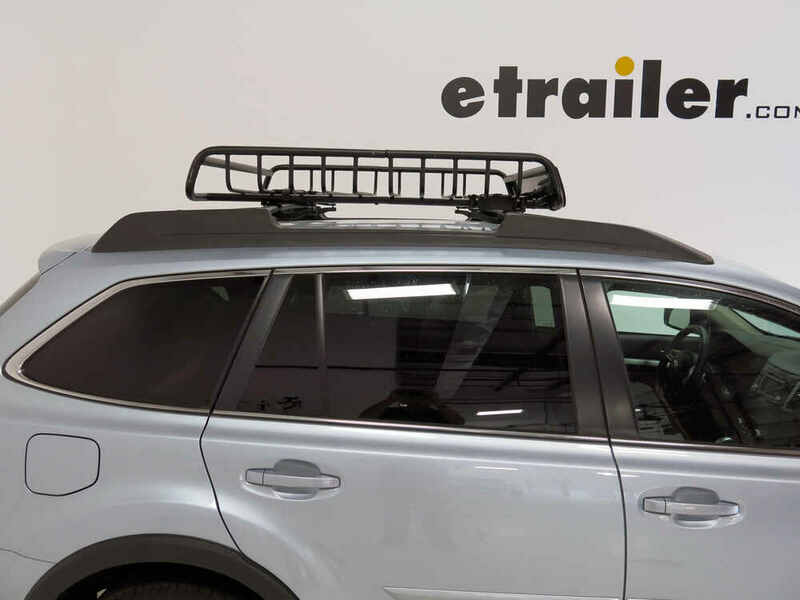 Additional accessories - including Hi-Lift Jack Brackets, Spare Tire Carrier, Light Bracket and Axe/Shovel Brackets - attach directly to the side bars of the cargo basket. 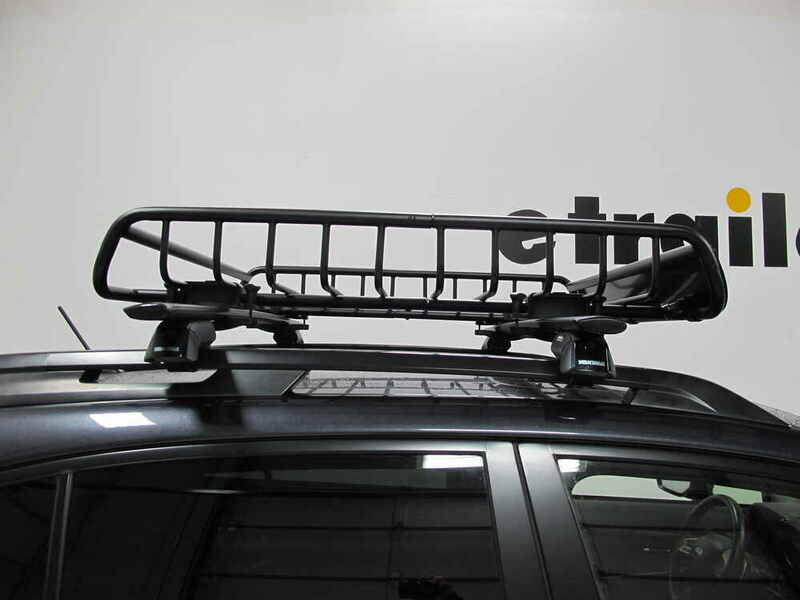 Inno Shaper 80 Roof Cargo Basket - Channel Mount - Aluminum - 46-1/2" x 32-1/2"
Rhino-Rack Roof Cargo Basket for Aero-Style Crossbars - Steel Mesh - 59" x 26"
Today we're going to be taking a look at the Yakima Load Warrior Roof Rack Cargo Basket, part number Y07070. 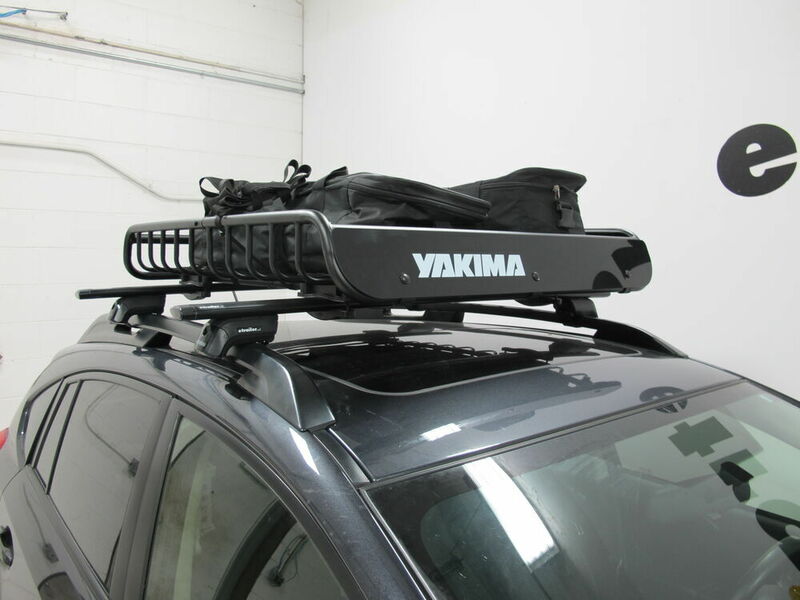 The Yakima Load Warrior is great for carrying a wide variety of luggage, sporting goods equipment and camping gear on the top of your vehicle while freeing up space inside your vehicle. The overall dimensions of the cargo basket are going to be 44 inches long by 30 inches wide, by 6 1/2 inches tall. Now the interior dimensions are going to be 38 1/2 inches long by 38 1/2 inches wide. 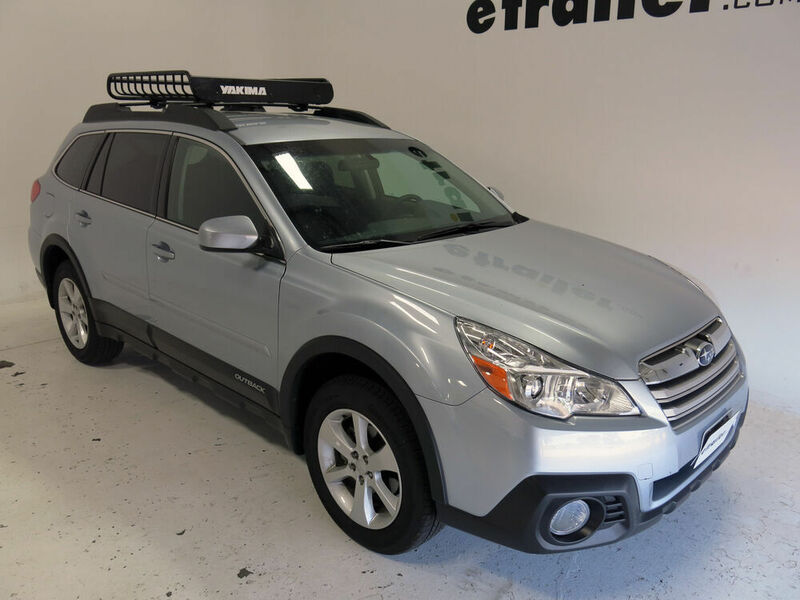 The cargo basket itself has a carrying capacity of 140 pounds, although before you load anything onto your cargo basket, check your vehicle's manual to make sure it can withstand that weight. 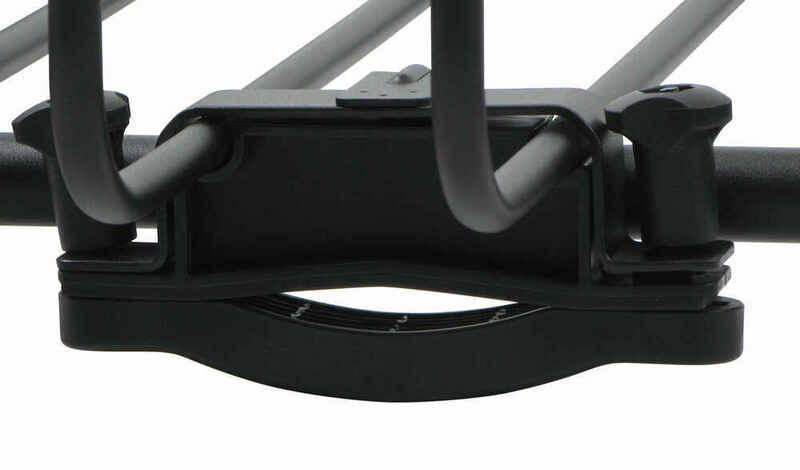 This basket will accept Load Warrior and Mega Warrior accessories, which includes the high lift jack bracket, part number Y07077, the spare tire carrier, part number Y07076, the light mounting bracket, part number Y07075, and the ax shovel bracket, part number Y07078, which are sold separately. 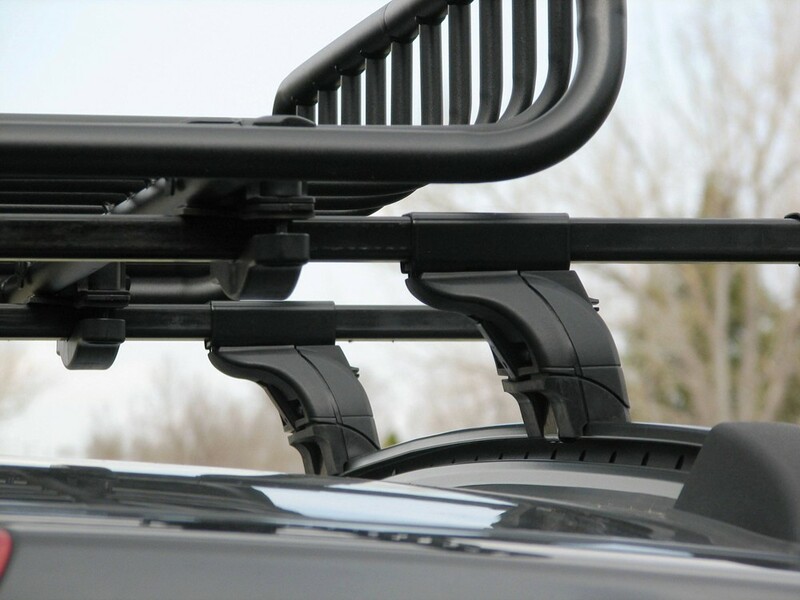 You can also get bike attachments which are also sold separately, to carry both bike racks as well ski and snowboard carriers. 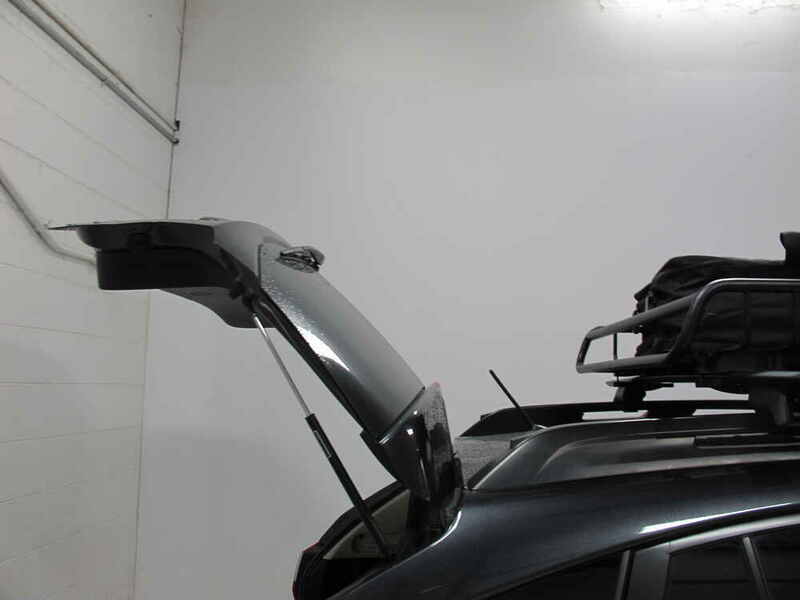 Another nice feature about this cargo basket is you're going to rarely have issues of clearance between your hatch and the cargo basket itself, and notice also with this particular vehicle, we didn't have to worry about removing the antenna either. 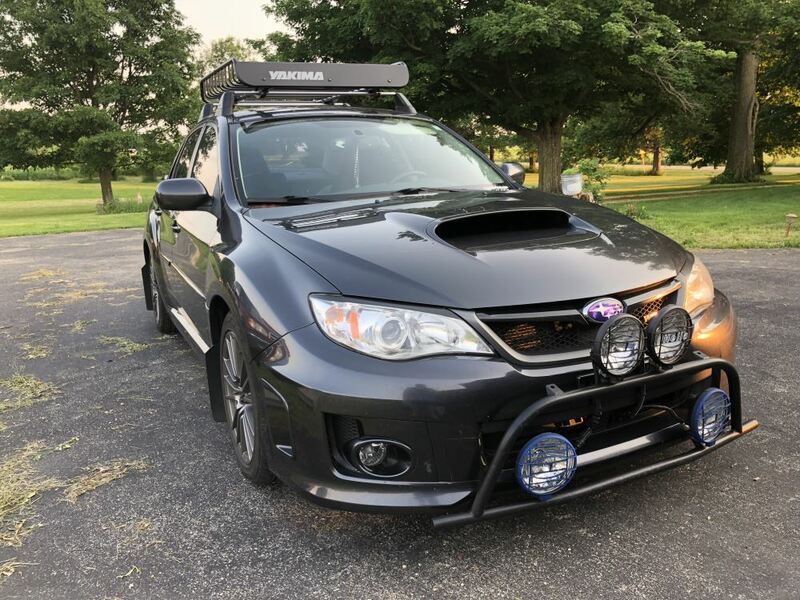 At the front of our cargo basket, it does come with this faring, which you can install, and that's going to cut down both wind noise and vibration. 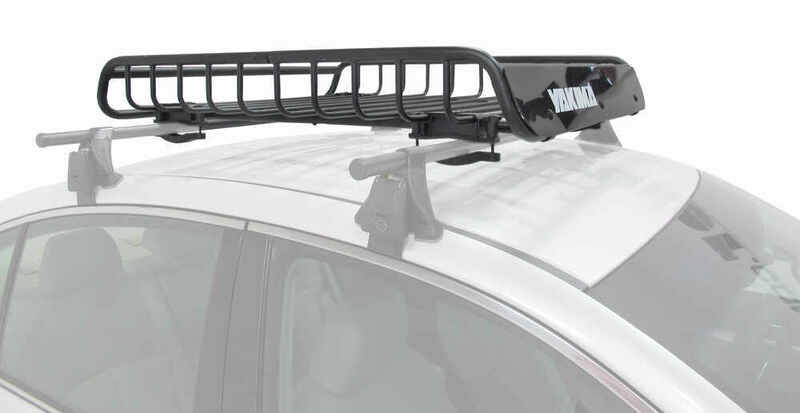 You can also lock this cargo basket to your roof by replacing the brackets here with the locking brackets, which are sold separately with Yakima's same key system, part number Y07064, and there's also cable locks available to help secure the gear on your cargo basket as well. 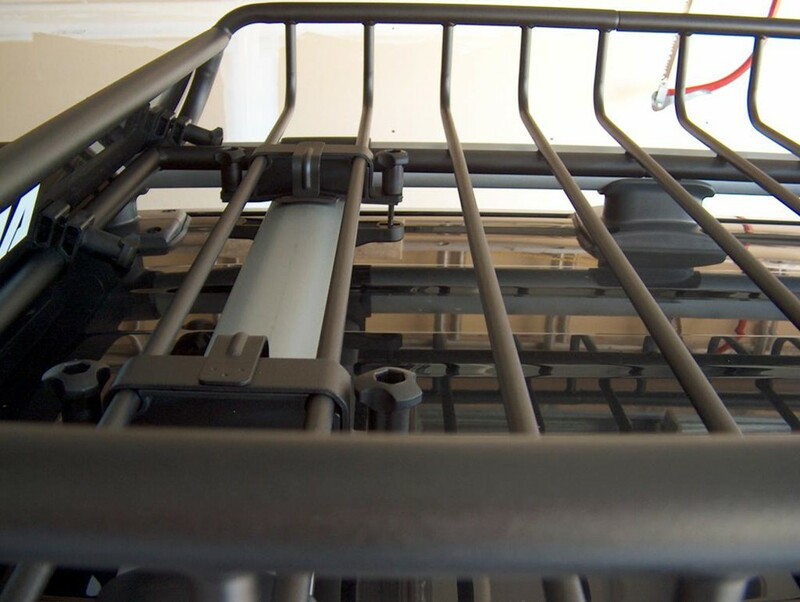 The basket is made from a sturdy, galvanized steel construction and it does include a powder coat, which does resist corrosion. 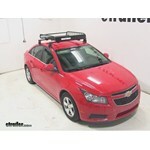 Right now we have it attached to our arrow bars but this also works with square, round and most factor roof racks. While this cargo basket is designed for smaller vehicles, you can buy an extension for it if you wish, part number Y07074, and this will add 18 inches of length to the basket and increases the capacity of the basket by 40%. 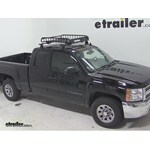 Now when comparing this basket to others, a lot have looked at the Roller roof-mounted cargo basket, part number 59504. 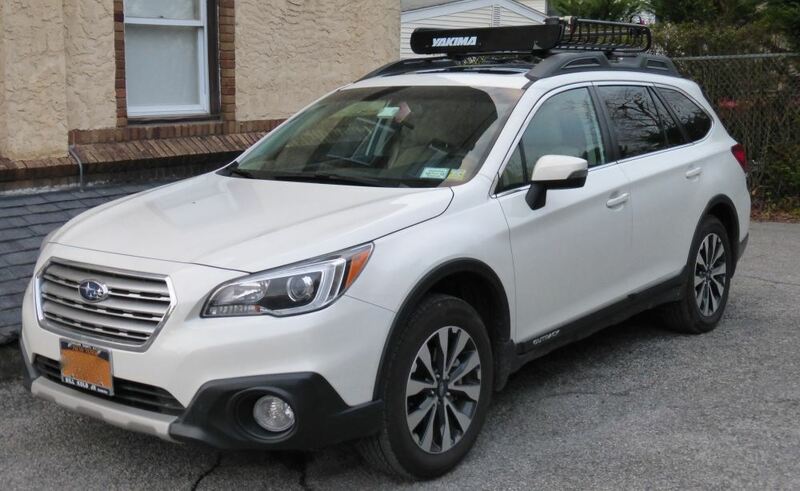 Both of these do have their differences, for example, with the Yakima Road Warrior it is designed for smaller vehicles, while the Roller is designed for anything from small to medium vehicles such as SUVs. 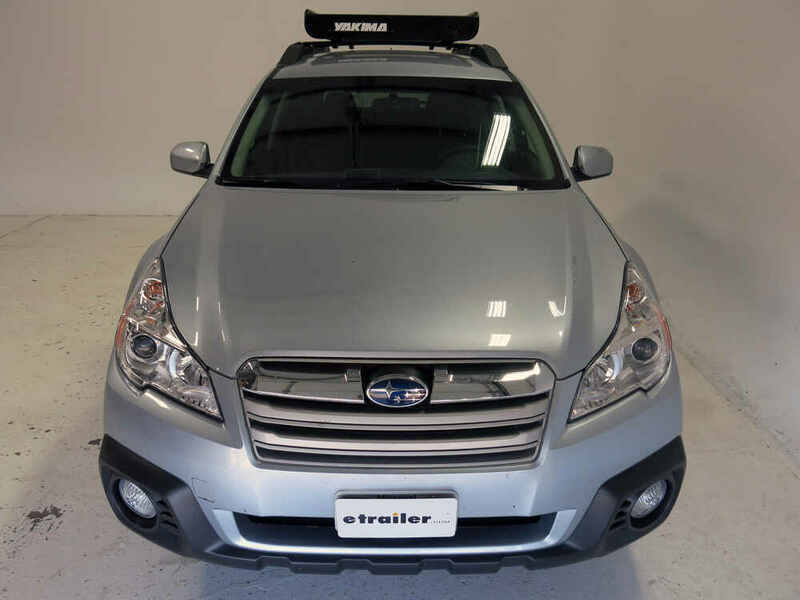 However, between the two cargo baskets, the Yakima does have more of a versatility to it with all the additions that you can put onto the basket itself. 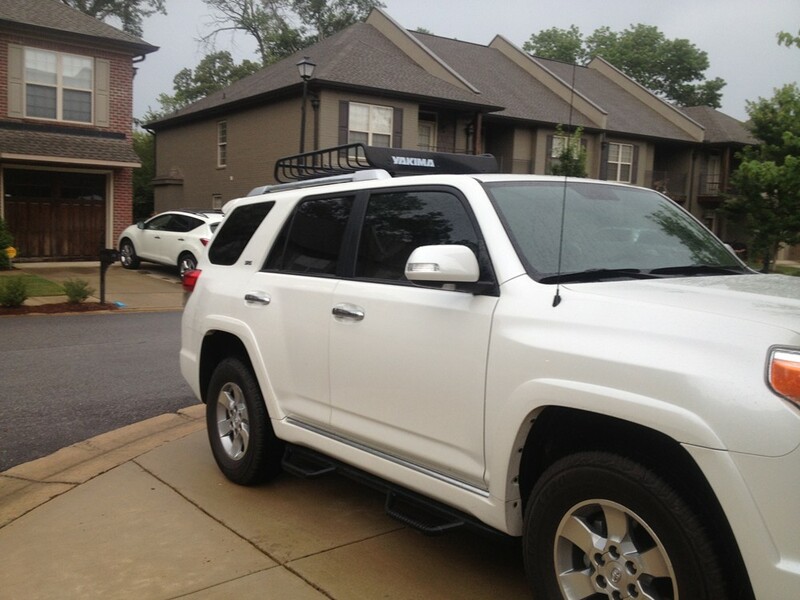 Now that we've gone over some of the features of the roof basket, let's go ahead and show you how it installs. 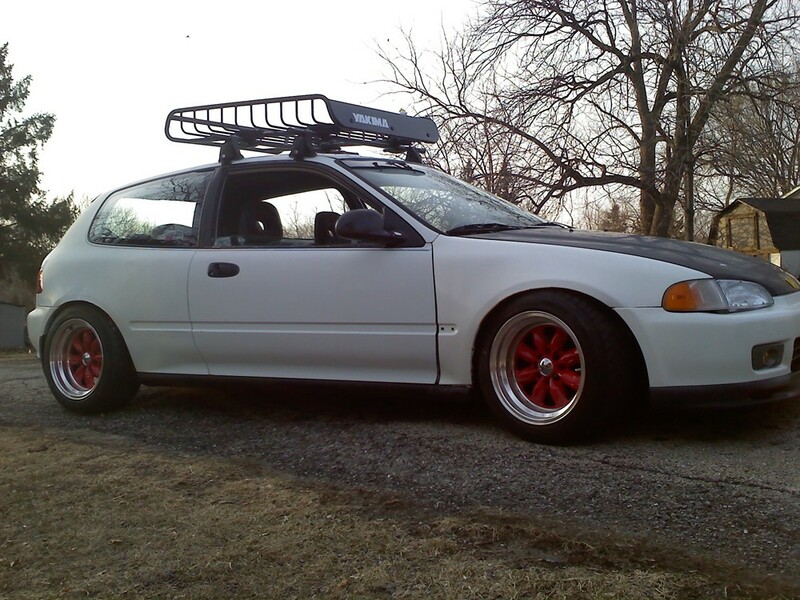 First place it onto our roof rack and make sure it's straight and even at the front. 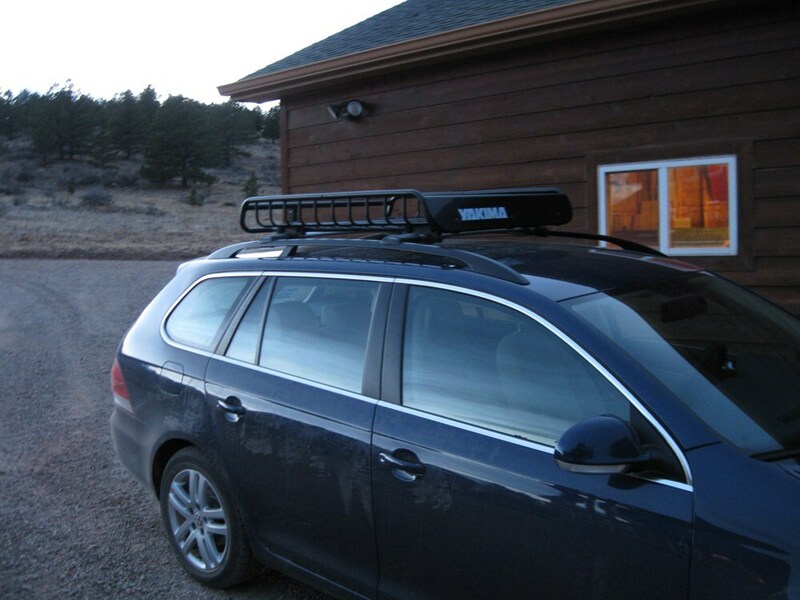 Next we'll start installing our brackets that will wrap around our roof rack. Take this piece here with the padded end and we'll place that in like so, then we'll take our top bracket, making sure that this portion here goes over the bar, so it will sit down like so. We'll repeat this for our other three attachment points. Next we'll install a bottom bracket and if you notice here, we have one side that is slotted and one side that has a square hole. The square hole will house the round bolt, the slotted version has the slotted bolt. Let's go ahead and install this. Line up our bracket, place our round bolt through first, and to hold it in place we'll take our turn knob, just give it a few turns, like so. Then we'll take our bolt with the T end and place that in the bracket as well. Now just to show you this on another, different bracket, you see it has the slotted end here so you'll notice, if you put it through like this, it will just go straight through. You actually want to twist it so it catches like that. We'll try to tighten these down evenly as we go so it's not just going to one side or the other. With those tightened, we'll repeat this process for our other brackets as well. Now that we have our cargo basket secured, we can start loading up our gear and hit the road. You can secure these down with whatever straps you may have. 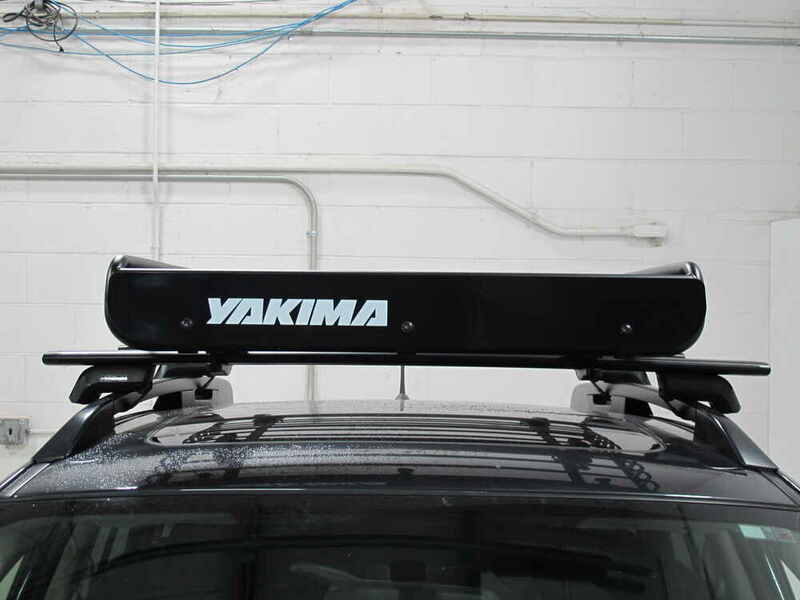 Yakima also has straps, which you can find on our website, part number is going to be Y05006. Now we'll just tie off our access, show you how it looks. 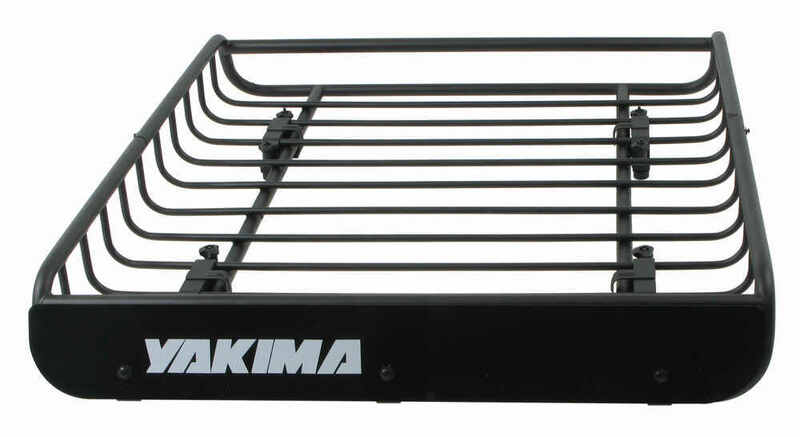 There you have it for the Yakima Load Warrior Roof Cargo Basket, part number Y07070. 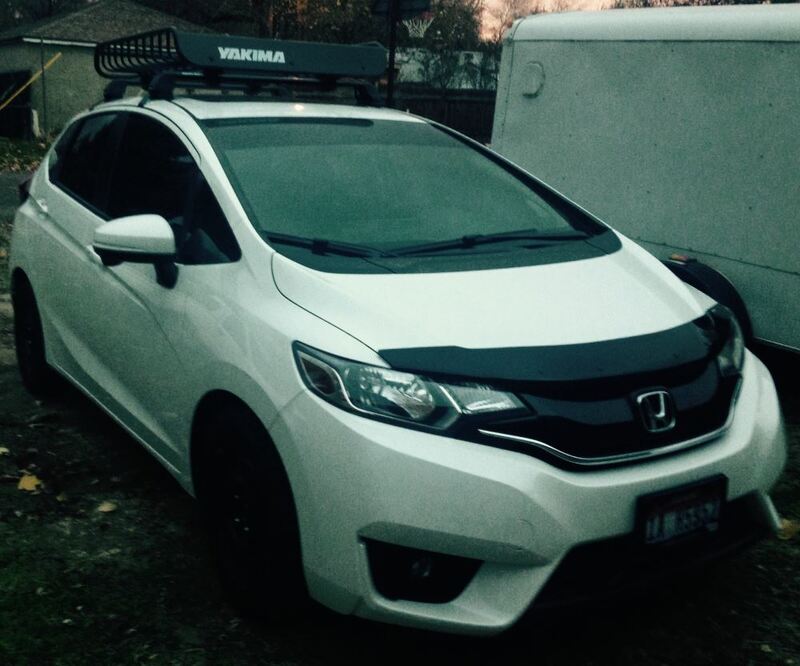 Order: RelevanceNewestRating - High to LowRating - Low to High LoadWarrior allows you to carry large loads on your roof-rack crossbars. 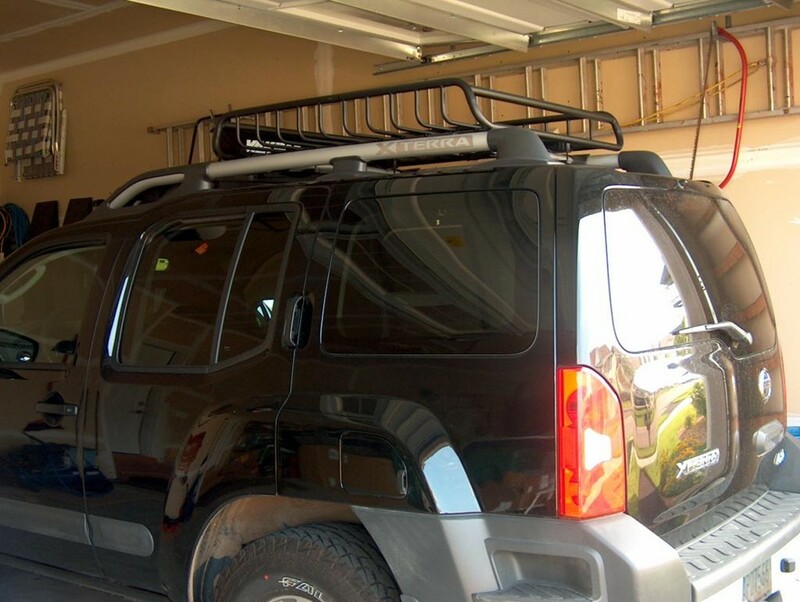 Add other Yakima bike and boat mounts to the basket crossbars to haul your gear. Basket has a custom fairing to reduce wind noise. Happy with the product and your company. 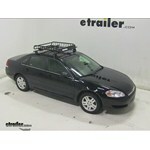 Will buy again from your company for my next product and vehicle related need. 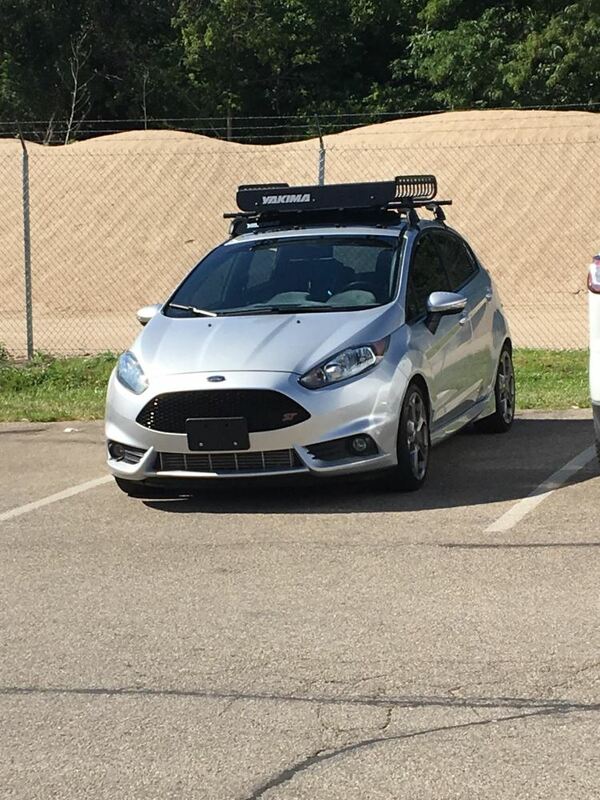 The roof rack is holding up as expected. Thanks for the follow up and take care. Still working as great as the first day! Love how convenient the basket is when I have giant items to move. Excellent for a year now. 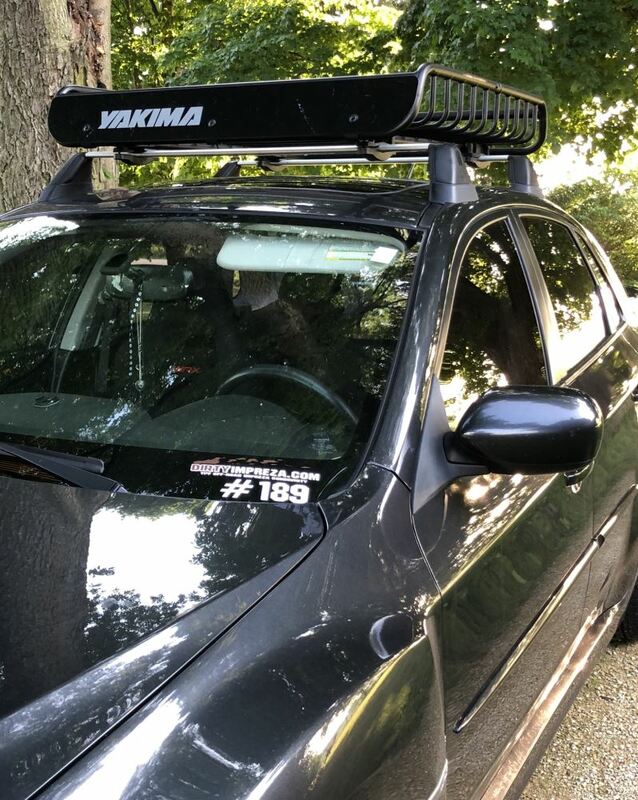 Ive attached lights back and sides, have an axe holder on one side and a shovel holder on the other-absolutely no rust compared to the cheaper ones, its tight, stays in place and wind noise is nominal. This is a great product. I do have an option for you to move the spare tire out of the back of your 2009 Toyota Sienna and put it on the roof. 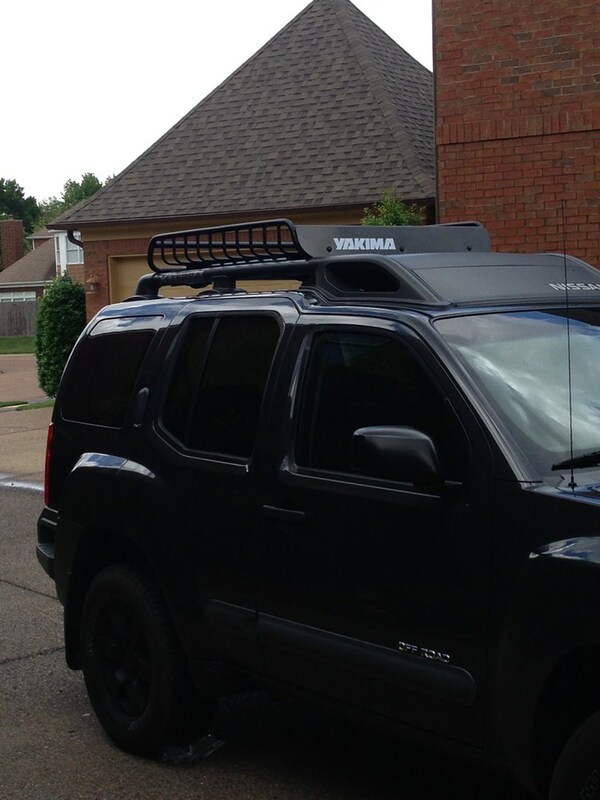 It requires getting a Yakima LoadWarrior Roof Basket # Y07070. 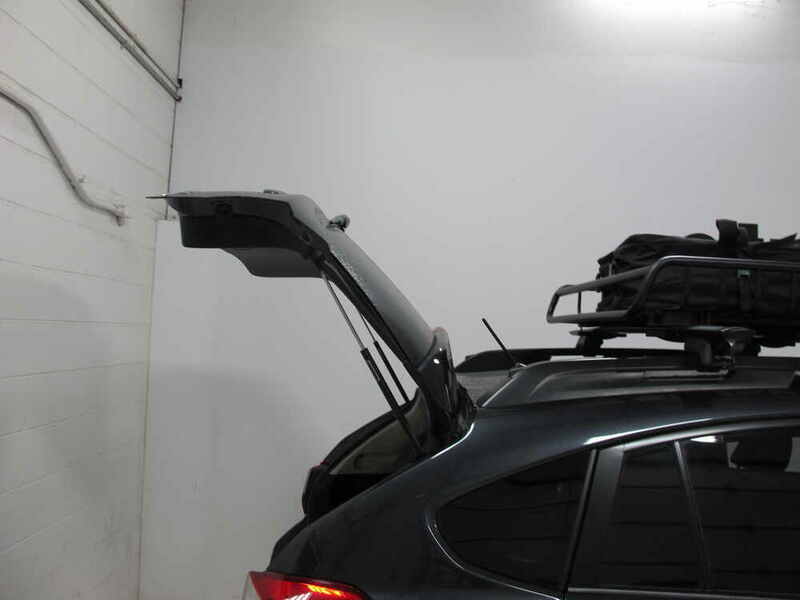 The LoadWarrior will fit the factory crossbars of the Sienna. 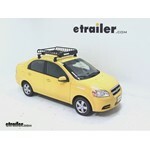 Then use the Yakima Spare Tire Carrier # Y07076 which installs on the LoadWarrior. 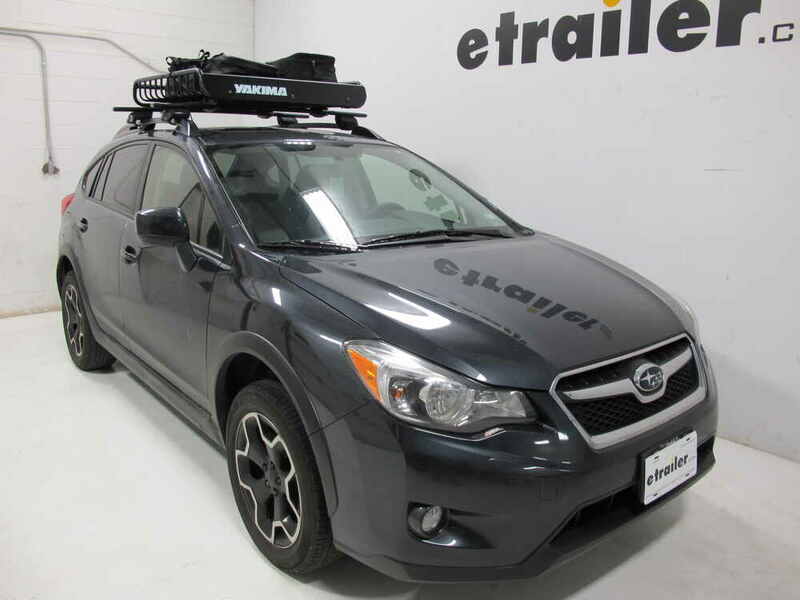 Fit-wise the Yakima DryTop Rooftop Cargo Bag # Y07404 better matches the interior dimensions of the Yakima Loadwarrior part # Y07070 so it would be the better choice. The interior dimensions of the Loadwarrier are 38-1/2 inch by 38-1/2 inch and the dimensions of the DryTop are 40 inch long x 38 inch wide so it would basically fit it perfectly. The CargoPack part # Y07405 is a great bag but it measures 44 by 36 so it wouldn't fit as well. I went out to our warehouse and pulled a LoadWarrior off the shelf. I measured the larger diameter tubing (that runs along the top of the rack) as being 1 inch in diameter. The smaller diameter tubing that makes up the bottom and the majority of the basket sides is 1/2 inch in diameter. I have produced a photo showing these dimensions for you. 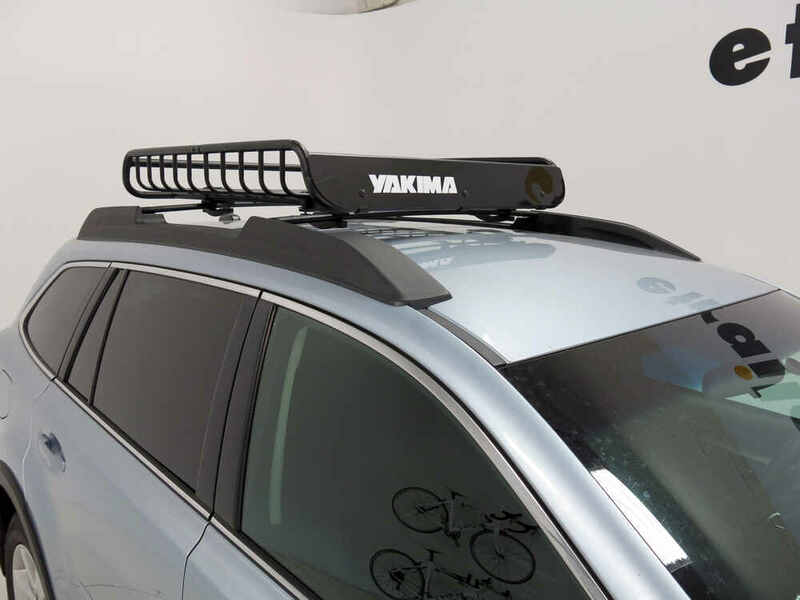 Yakima does offer a replacement load bar for their Load Warrior # Y07070 and it also fits their basket with extension part # Y07070-74. The cross bar part you need is # 8870042 and this comes with the Allen key for installation. 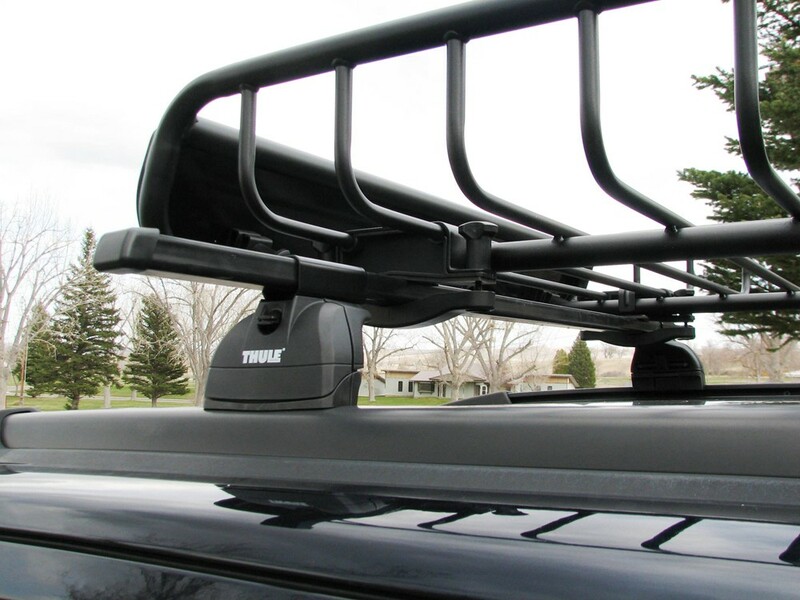 What Are The Roof Racks That Come With The Nucamp Boondock Tab 320s Travel Trailer Called? 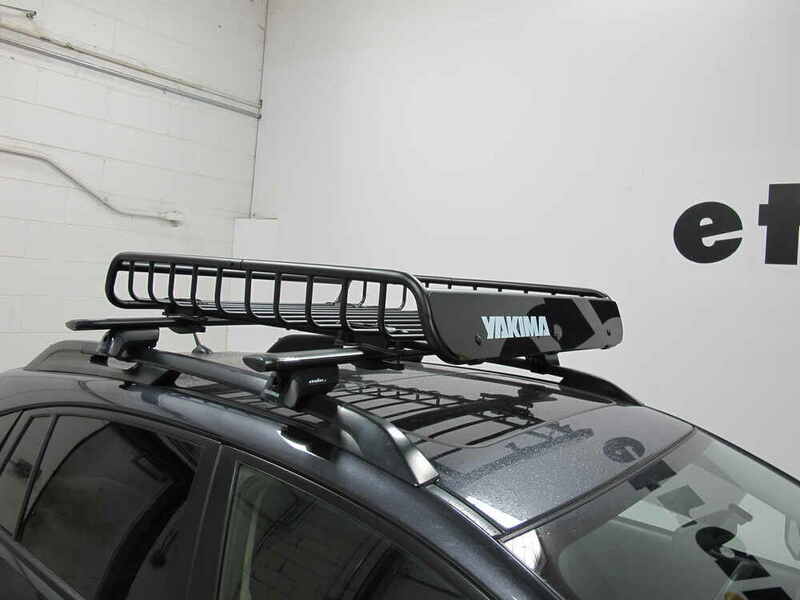 The limiting factor of the Yakima LoadWarrior Roof Rack Cargo Carrier, # Y07070, is not the baskets capacity but the capacity of the roof rack, and, ultimately, the roof of your car. You will need to check the owners manual to determine the capacity of your roof. 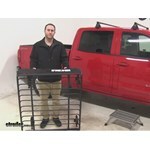 If the rack is after market, consult the manufacturer of the rack to find its capacity. The basket itself is rated for 140 pounds.